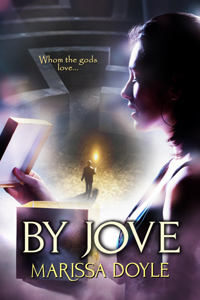 I’m still happily celebrating the re-release of my contemporary fantasy, By Jove, into the world...and thought you might be interested in learning a little about its new publisher, Book View Café...because, as BVC’s motto reads, you can never have too many ebooks. Book View Café is really a pretty cool concept: it’s a cooperative publisher, meaning that the author-members of BVC fill all the roles of a trade publisher—we edit, proofread, format, create book covers, do marketing, distribution, and publicity, maintain social media accounts, and even run an on-line store— www.bookviewcafe.com—to sell our books (though they’re also available at ebook retailers such as Amazon, Barnes and Noble, Apple, and Kobo. Some books are also available in print editions. The only thing BVC does not do is accept submissions: all books published by the cooperative belong to members. Because Book View Café was founded by a group of fantasy and science fiction writers as a way to republish books to which they’d gotten publication rights reverted, you’ll notice that most of the 300+ books available in BVC’s lists are genre fiction—in addition to science fiction and fantasy you can find romance, mysteries, thrillers, young adult, and a smattering of non-fiction and memoir as well as a number of short story compilations by BVC members...some of those members being science fiction luminary Ursula K. Leguin, Vonda N. McIntyre, Sarah Zettel, Sherwood Smith, Laura Anne Gilman, Patricia Rice, and more—lots more.